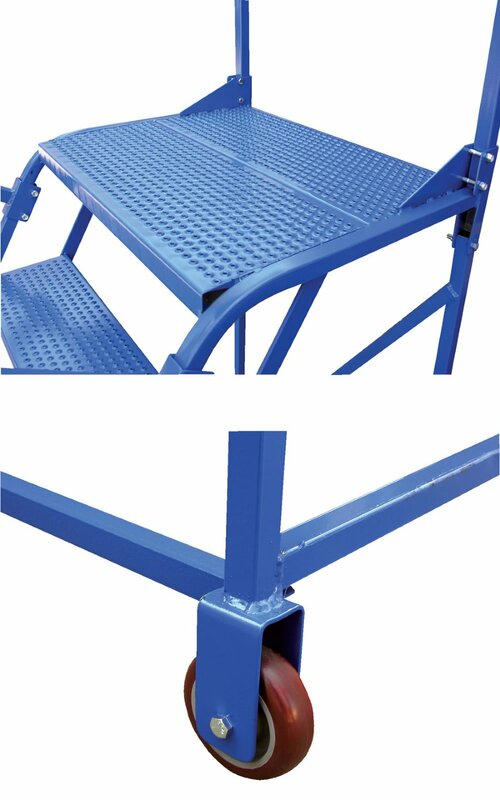 9 Step Portable Maintenance Ladder, Perforated Steps, 90" Top Step Height, Blue Powder Coated Steel. 9 Step Portable Maintenance Ladder with Perforated Steps. 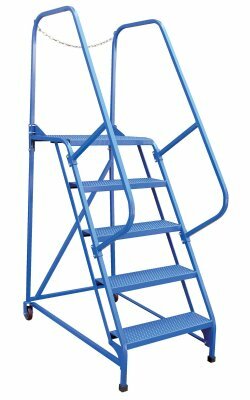 For use around warehouses, hardware stores or inventory rooms. Tilt the unit to allow for portability. Constructed of square tubing framework. Features removable hand railing, access chain, grip strut or perforated steps and an industrial blue powder coat finish.